Ode to a teenage dream! 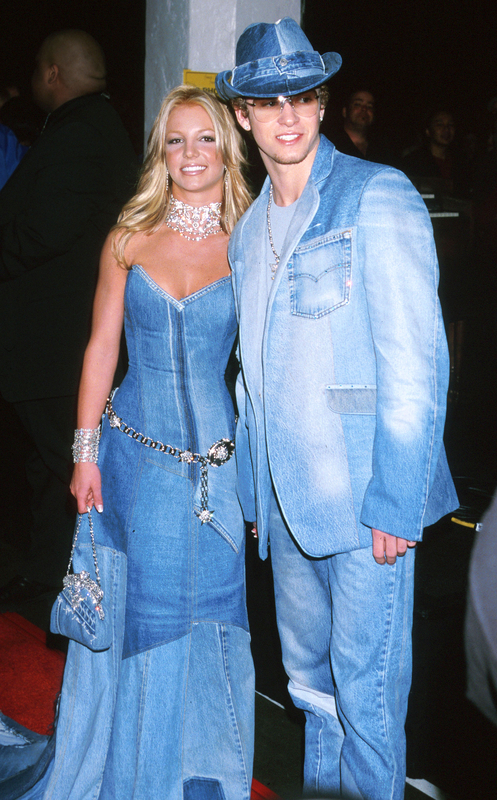 The 2016 American Music Awards air on Sunday, November 20, which is particularly special because it marks the 15th anniversary of Britney Spears and Justin Timberlake&apos;s truly iconic double denim ensembles. Yep, at the 2001 ceremony, the pop princess and prince, who had been dating for about two years, strolled down the red carpet, hand in hand, wearing their upscale takes on the Canadian tuxedo. The "… Baby, One More Time" singer, who was 19 at the time, donned a strapless patchwork denim gown with a cleavage-boosting bustier bodice, teamed with a rhinestone-studded statement choker, a metal belt and a denim purse. Timberlake, who was also 19, meanwhile, donned a light-wash blazer, two-toned jeans and that denim fedora. And we aren&apos;t the only ones obsessed! In case you forgot, Katy Perry honored the couple&apos;s red carpet statement by attending the 2014 VMAs in a slightly updated take on the "Slumber Party" singer&apos;s iconic dress. 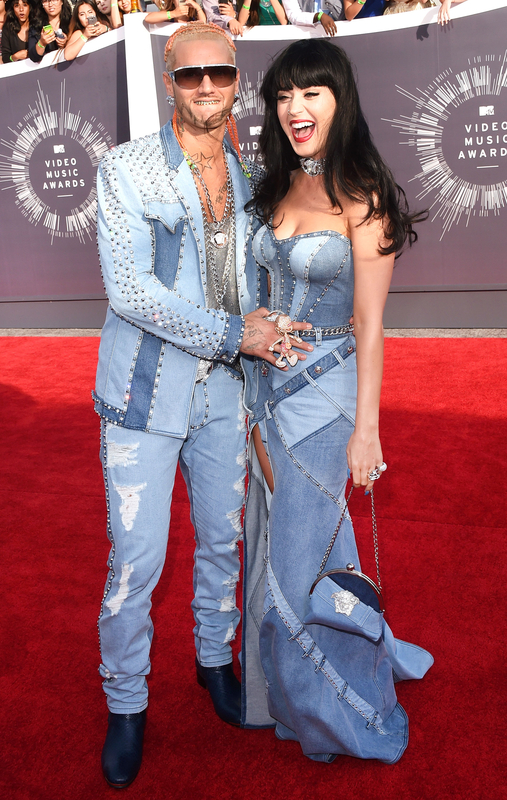 Perry, 32, rocked her own denim gown with a sweetheart neckline (courtesy of Versace), complete with the choker and denim purse! But, of course, the costume wouldn&apos;t have been complete without her Justin, which is where Riff Raff came in wearing embellished sky-blue separates with an even more outrageous metallic top. Ah, TimberBrit. We&apos;ll never let go!